Hey guys, hope you are so well. 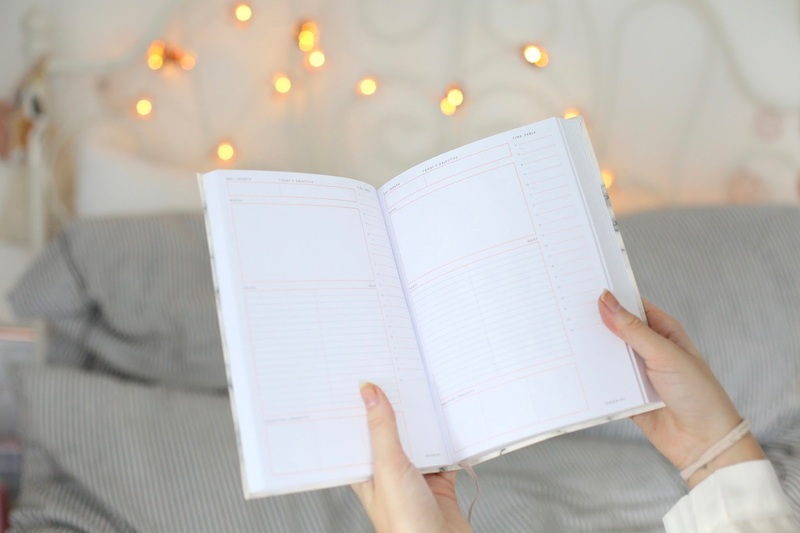 You may remember reading my recent blog post about my non-work to do list, featuring things I like to do during the week to ensure I can tackle my work the best way and be healthy, productive and less stressed throughout the week, basically my way to make sure my week kicks off the best way possible. I’m collaborating with Virgin Trains on the East Coast this month to bring you some top tips to tackle your to do list. 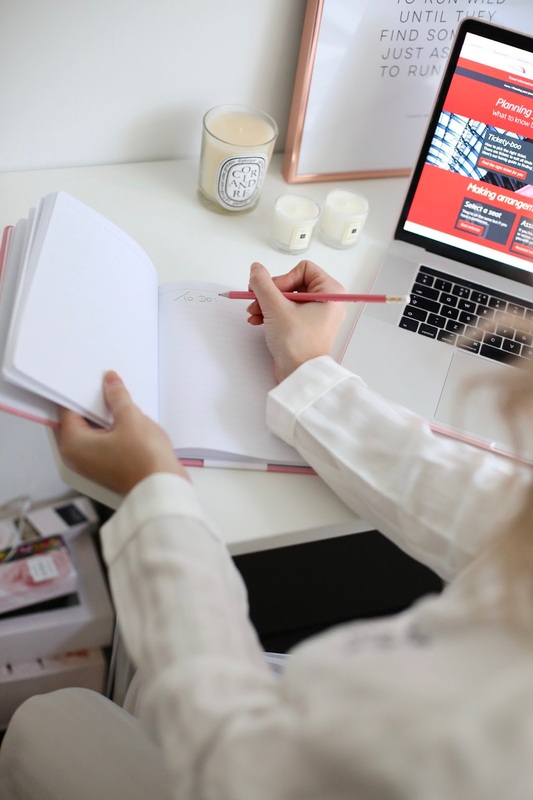 I feel like I’ve got pretty good at working for myself, motivating myself and smashing through my to do list so today I wanted to give you my top tips for being productive and how to really power through that to do list in the most efficient way possible. Let's power through out to do lists together. When you work for yourself, you really do have to be strict. I'm often asked how I stay inspired and motivated when I work for myself. I could stay in bed every morning, not go to the gym, let deadlines loom over my head and spend too much time online shopping or looking at cute GIFS (granted, some days that happens). Here are some ways I ensure I am the most productive I can possibly be with my to do list. Make Sure Your To Do List Is A Firm One - I update my to do list all the time but I always ensure my 'inital' to do list is firm and focused, that means, only serious things are on there that really need doing. If you start the week doing pointless tasks, you wont get through the actual bulk of your to do list. Split Your To Do List - Make headings on your to do list and ask yourself what really needs doing, what is a priority and what *might* get done if you're working super efficiently. These headings are a great way to structure your day too. You can also split it into things like: 'Urgent emails to send' - 'Admin' - 'Travel that needs booking' or whatever is suitable for you. Do A Power Hour - I recently saw someone talk about doing a 'power hour' of emails. Have a look at what takes up the most of your time, for me, it's emails so I'll now just be doing a 'power hour' at the start and end of each day to ensure I get through them swiftly. Obviously some things do take and need extra time, but with some tasks, I just take too long. 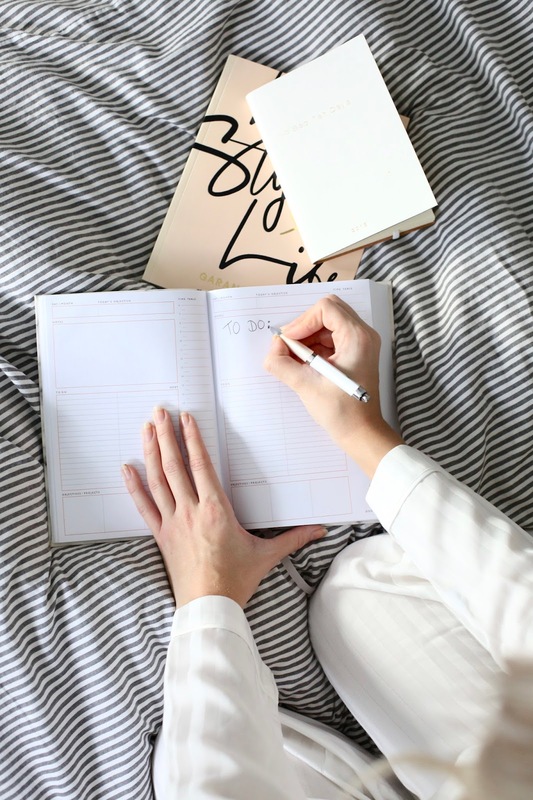 Try Stick To A Routine - Sticking to a routine does really help when it comes to 'to do' lists, just having a structure in your day, particularly if you work for yourself and it's something I'm wanting to implement more this year. Re-Write Your To Do List Every Night - I re-write my to do list every night before I close my laptop. Mentally it feels great ticking the things off that I've done in the day but then it means I can forget about it, have some relaxation and start from the top in the morning. It also gives me the opportunity to add anything new on and re-organise my priority list, eg, has a trip from Leeds to London come up and do I need to book trains urgently? If so, I'll put that at the top of the list and head straight to VirginTrainsEastCoast.com the next morning. Small Things - Sometimes it's the small tasks that mount up so for example, booking a train. It's a fairly simple task, but often we leave it and then the fares get more expensive. As soon as I have dates to be in London for example I now book my train as soon as possible, it means I get cheaper fares, free wifi and mentally I can relax knowing my travel is sorted. I do find it's acually better to get rid of all the small/seemingly annoying tasks on my list first, then I can really put my time and energy into tackling the big tasks. Don't let the small things mount up, you'll only then waste time on small jobs and then be left with no time to tackle what really matters. Lock Your Phone Away - So how else do I power through my to do list? Well, locking away my phone is a really good one. I am so much more productive without my phone, I try and pick it up far too many times in the day so it's worth putting it in another room or, locked away in your bag so you acually get on with what you're meant to be doing, then go on it as a 'reward' or break. You can also block certain websites on your laptop, like Facebook for example, that way you'll stop trying to aimlessly scroll rather than doing your tasks. Get Urgent Work Out Of The Way On A Sunday Night - Something I've been trialling is getting urgent work out of the way on a Sunday before bed and having a nice bath, that way I feel calm going into Monday. 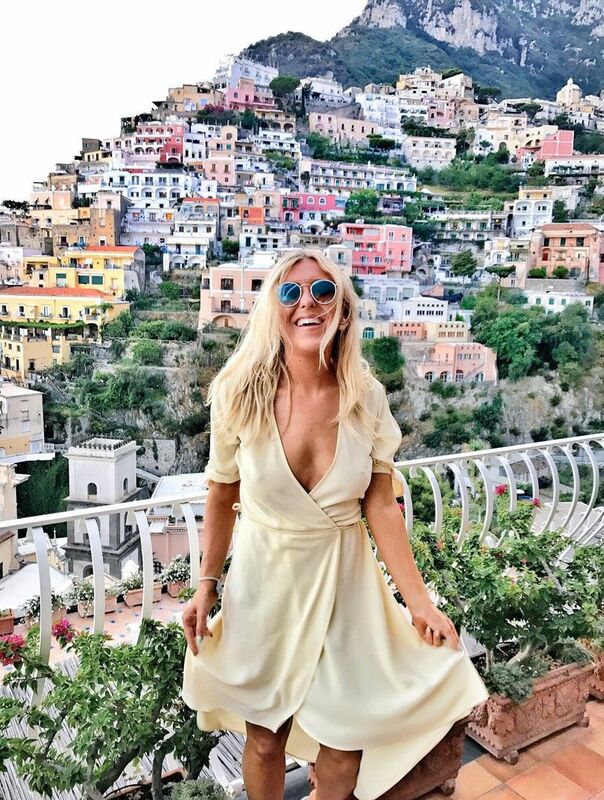 I used to wake up feeling so stressed on a Monday and now I wake up singing and dancing and feeling like I've tackled everything with a fresh, clean slate for the week ahead. So there we have it, just a few ways I power through my to do list every week and I really hope this helps you guys stick to your tasks/remain on task/focused. Big thanks to Virgin Trains on the East Coast for working with me on this. Do leave a comment below and let me know how you stick to your to do list and if you've got any tips. *This is a collaboration with Virgin Trains on the East Coast but as always is my 100% honest opinion.